Pascal Stutzmann is a B2B marketing, strategy and sales consultant with over 30 years of experience in various B2B markets, executive management and industrial technology. Pascal has a rich experience of profitable value proposition creation driven by a customer focus approach and successful implementations in multiple markets and strategic environments. Pascal has been Global Marketing Manager & Product Line Leader for TASNEE, the National Industrialization Company for Saudi Arabia, specializing in petrochemicals, chemicals, plastics and metals manufacturing, industrial services and environmental technologies. Pascal conducts titanium catalyst scouting as well as development and marketing for the energy, oil and gas, refining, petrochemicals and chemicals markets. He also serves as the Global Titanium Chemicals Product Line Leader for the USA and Europe plants, and a new project in the Middle East. Prior Pascal was the Global Marketing Manager & India Sales Supervisor at Cristal Global, a global producer of mining and inorganic chemicals. He credits his success his ability to think outside the box, while being a highly skilled team leader and contributor to group dynamics. After earning a master’s degree in Chemical Engineering from the Institut National Polytechnique de Grenoble, Pascal quickly established himself as a rising talent in Research and Development at Rhône-Poulenc. He earned a Master of Business Administration in Strategic Management from Groupe IFG and became the Global Development Manager and Project Director at Rhodia. A resident of Paris, France, Pascal speaks fluent English, French and German. 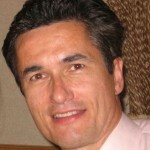 Bristol Who’s Who VIP Member Pascal Stutzmann, MBA, MSc can be found on the Who’s Who Directory, where he is looking forward to networking with you.